GoPro Hero 7 series was just announced in India with three new models including the Black, Silver, and the White edition. The three new action camera differ in not just color but also specification and you can choose the one which suits your budget and to satisfy your photography and videography requirements. All of the three new GoPro Hero 7 cameras are now available for pre-order in India via Amazon. While the GoPro Hero 7 Black is the highest-end variant, it is priced high at Rs 37,000 and even with the discount, it still fares north of the Rs 30,000-mark. If you’re looking for a something more affordable, the Hero 7 Silver can be a good choice for you. 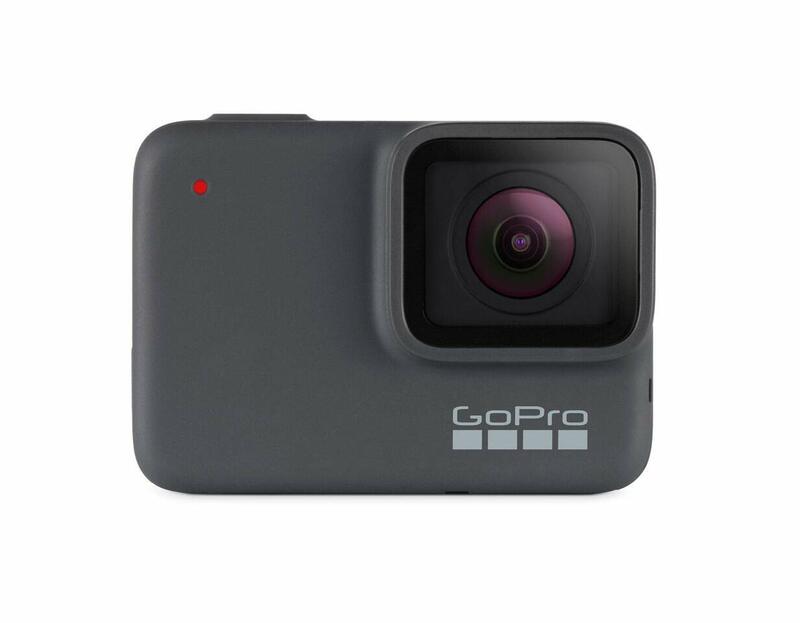 GoPro Hero 7 Silver uses a smaller 10MP sensor and while you do get 4K video, it is only limited to 30fps while slo-mo is restricted to 60fps. The Silver gets the same waterproof protection as the Black i.e. up to 33 feet or 10 meters, as well as touch screen and voice control functionality. Hero 7 Silver, however, misses out on features such as live streaming to social media, and HyperSmooth video that produces Gimbal-like effects. You, however, do get the GPS as the higher variant. If you choose to pre-order the GoPro Hero 7 Silver from Amazon before midnight, September 27, you can avail a cashback of Rs 1,000 in your Amazon Pay account. Additionally, if you plan to use your ICICI credit or debit card to avail EMI on this action camera, you will get an instant discount of Rs Rs 1,400. In case both the offers are availed simultaneously, the price of the GoPro Hero 7 Silver is brought down to Rs 25,600. Meanwhile, you can avail Rs 100 off if you pay using any credit or debit card but the offer is not valid if you avail an EMI plan.